Sportsonthego1 & StatementGames LLC Join Forces! 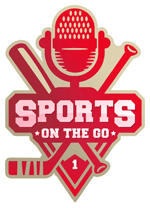 Sportsonthego1 and StatementGames LLC – two Long Island companies that are changing the way NY sports fans consume content have joined forces. Their deal allows StatementGames to gain even more exposure through the Sportsonthego1 platform and vice versa. Melville NY, StatementGames LLC has a new take on fantasy sports. Our NON-Money tournaments afford an opportunity to test sports knowledge by selecting and ranking prop-statements on the game being played in addition to the players involved. Review a pre-defined list of statements and select 10. Then rank your statements from (10) most confident choice to (1). www.statemengames.com is changing the way fans watch sporting events. Please address all media and press inquiries to marketing@statementgames.com. Bohemia NY, Sportsonthego1 Long Island’s First Sports Radio Network broadcasting to a worldwide audience of Sports Fanatics. Live Monday thru Sunday. Please direct all press inquiries to sportsonthego1@gmail.com. Previous Previous post: NY Freak Apparel & StatementGames LLC Unite!